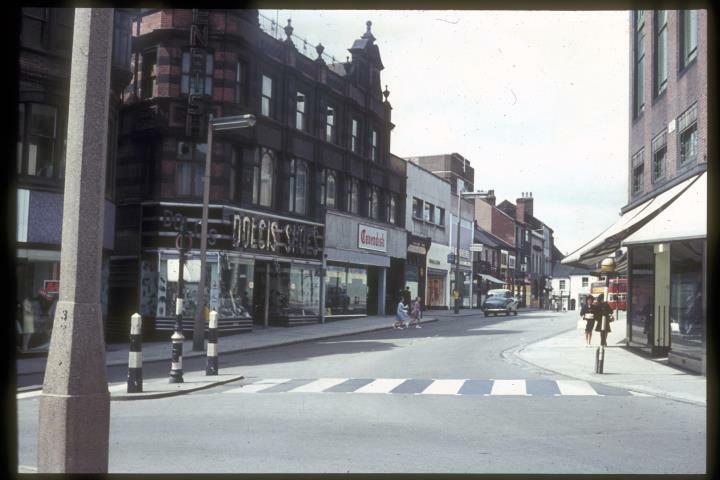 Description:This was the view northwards along Stafford Street from Miles Bank at the bottom of Fountain Square, in the early 1960s. Trinity Street is off the photograph to the left. On the right is the "island of shops" that included the original Lewis's Art Deco style department store and arcade. Opposite is Dolcis shoe shop, just beyond the alley to Brockley Square. The letters coming down the building refer to Cavendish's the furniture store next door and above. These two large stores have gone but further down the range of small shops and buildings still survive. Right at the bottom, just where the red and cream PMT bus is turning is the end of New Hall Street and now Quadrant Road, again little changed. 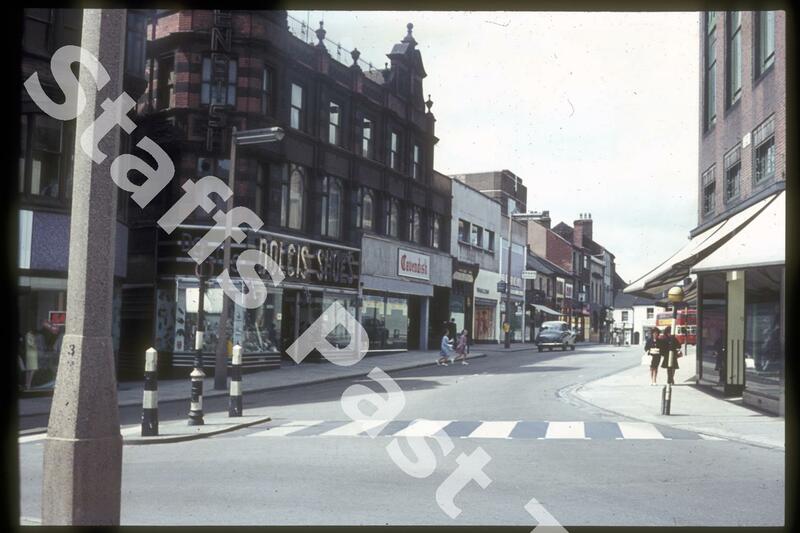 The photograph was taken from a traffic island in Miles Bank, now part of the pedestrianised centre.